Bringing change that everyone can feel. At CHW Professional Consultants, we understand you have a vision for your next project. We make it our mission to help see that vision into reality. As a full-service firm, we utilize a team approach that involves all disciplines. We present both a creative and technically sound project delivered with efficiency. But there’s more to working with CHW: optimism, energy, and confidence. We understand that small details are as important as the big picture. We’re committed to boldly driving progress in the communities we serve, but also to bring the sharpest minds and biggest hearts to the table. With infectious energy and genuine commitment to improving lives, CHW employees are top in the field – and are one of the greatest reasons to work with us. Discover three more ways CHW Professional Consultants is the premier choice. With a positive mental attitude and confidence in our services, we’re prepared to successfully guide you through the development process. Our team possesses an energy and focus to solve issues and exceed expectations. When you ask clients about our work, you’ll hear “thorough”, “knowledgeable”, and “highly-skilled” – but we’re most proud of being passionate client advocates. We share our dedication to improving and growing communities through various projects. Investment in the community doesn’t end when the project is completed. We serve on boards and provide industry insight toward improving the places we live. Client advocacy builds a better community, and staying connected gives us a clear vision of the future. C&E makes key hires of Robert Walpole, EI + Kevin Hewett, PLS. Company moves to a new corporate office. Staying up-to-date on industry and local information is key to our success. 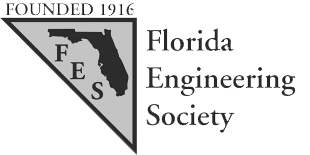 We are members of more than a dozen national and local organizations, ranging from civil engineering societies to land surveying societies. Through these membership opportunities, we can discover the latest green initiatives, Florida business development, water conservation efforts, and more. These organizations allow us to best serve our clients – and stay more deeply linked to our community.